The last time Erkan Yildirim visited his imprisoned wife, Pervin, she told him about her recent meeting with their colleague, Fatma. “Pervin said Fatma was very sluggish, that her eyes were slowly darkening, that two or three people had to bring her to and from the bathroom,” says Yildirim, nearly choking on the words. At that time, Fatma had been on a hunger strike for more than a month. What his wife said next, however, was even more troubling. 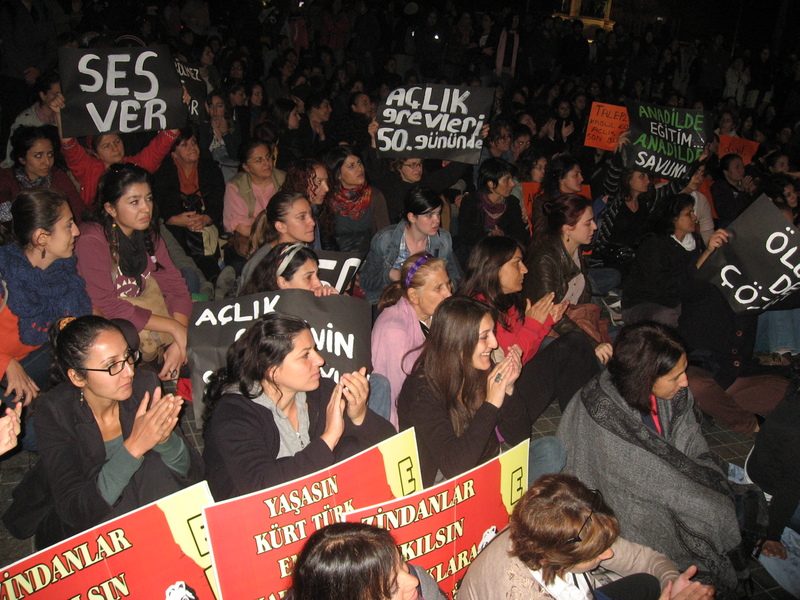 Pervin informed Yildirim that she was about to begin her own indefinite hunger strike. Pervin and Fatma are two of the approximately 700 Kurdish prisoners who are currently on hunger strikes across Turkey, though unofficial estimates put the count closer to 1,000. Since September 12, when 64 prisoners in four provinces around Turkey began refusing their regular rations, hundreds more have joined in waves, resulting in the biggest hunger strike ever undertaken by Turkish Kurds. Most of the striking detainees are in prison on disputed charges of supporting the outlawed Union of Communities in Kurdistan (KCK), but they come from a wide range of backgrounds: journalists, college students, teachers, accountants, lawyers, mayors, and even two elected members of parliament.